This hotel provides very excellent service. With a lot of different activities for exposure like costume exposure, swimming pool and gym room. 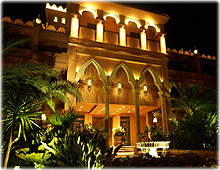 Living In this Morocco-like hotel, as if in a real Morocco!! !